One of the great things about writing reviews for this magazine is that unexpected things drop in your lap. Case in point, Tessa Drummond. She’s a singer-songwriter from New Zealand who somehow ended up recording her debut in Italy. Obviously, singer-songwriters are a little outside our normal purview, but well within my personal interest. Plus, most of the music I’ve heard that originated in New Zealand was enjoyable. 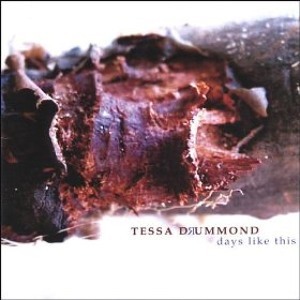 Tessa Drummond is no exception to that trend. First of all, I love her voice. It’s a bit quirky, and doesn’t particularly remind me of any other singer. Second, the production is quite nice, with very tasty electronic touches. Maybe they’re the kind of sounds that will sound “so early 00’s” in a decade’s time, and certainly other singer-songwriters have dabbled with the idea, from Dar Williams to Patty Larkin and many more. But this album seems to me to sound extraordinary, filtering in a taste of trip-hop and tons of atmosphere. She evens goes for a pretty noisy sound on “Sold” with distorted vocals, heavy guitars, and insistent drumming. All around a lovely album which is worthy of the same kind of attention that K.T. Tunstall has garnered this year – not to take anything from Tunstall, whom I also like a lot. A female singer-songwriter that won’t put you to sleep is a good thing.